The Spanish government is allocating 545,000 euros in order to contract a law firm in Belgium for the defence of the Supreme Court judge Pablo Llarena, who has been overseeing the case against pro-independence leaders. He is being taken to court by pro-independence leaders in exile in the country. Spain’s Prime Minister Pedro Sánchez recently came out in defense of the Supreme Court judge summoned to appear in a Belgian court. ‘It’s not a private matter but one of state,’ said Sánchez. While on a visit to Chile, Sánchez said that defending judge Pablo Llarena is a defense of the Spanish judiciary: ‘The State must defend the jurisdictional sovereignty of Spain when it is questioned, which the government has been clear about since the beginning,’ he added. Llarena has been summoned to appear in a Belgian court on September 4. Former Catalan president Carles Puigdemont and four of his ex-ministers are suing Llarena for violating their presumption of innocence in the case against those involved in last year’s independence bid. 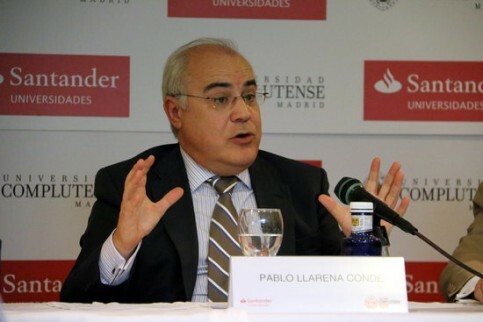 The issue of the lawsuit against the judge took a controversial twist when some media outlets reported that comments made by Llarena, upon which much of the suit is based, were wrongly translated and attributed words to the judge that he did not say. The translation of the evidence into French, so it could be presented to the Belgian court, makes it appear that Llarena had said that the Catalan leaders under investigation were guilty, when in fact he qualified his statements in the conditional tense. The lawyer defending the exiled leaders, Gonzalo Boye, played down the controversy, arguing it was ‘an error of translation’ and that the court would be duly informed. Boye also pointed out that ‘no one said anything’ when the Spanish authorities sent incomplete translations to Germany during the attempt to extradite Puigdemont.